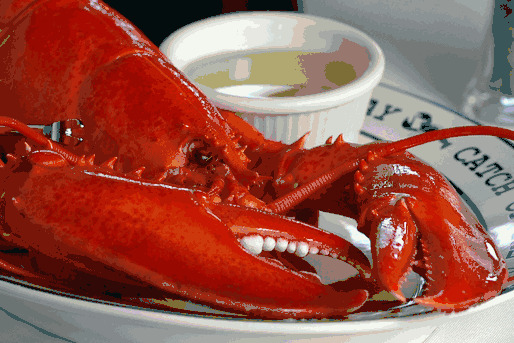 1 3/4 to 2 pound Fresh Live Maine Lobsters! Home > 12 Packs Of Lobsters! > Land O' Lakes Butter > Fresh Lobsters! > All Size & Individual Lobsters On Sale! > 1 3/4 to 2 pound Fresh Live Maine Lobsters! Chock full of sweet Lobster meat, these 1 3/4 -2 pound Live Maine lobsters are one of our premium size Lobsters that we ship, and are considered a VERY popular gift size with Lobster Lovers! These 1 3/4 -2 pound Live Maine lobsters are one of our premium size Lobsters that we ship, and are considered a VERY popular gift size with Lobster Lovers! sent us and decided to steam instead, and to perfection! They were fantastic!